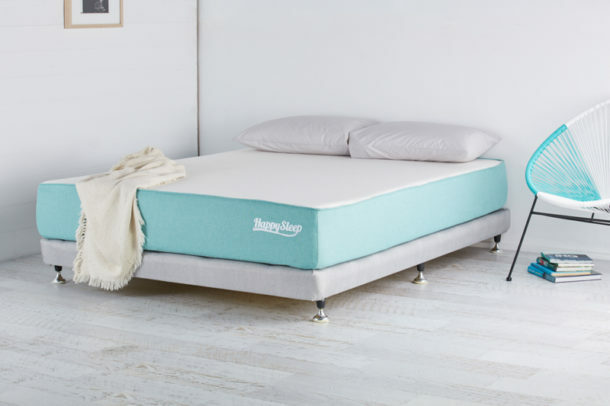 HappySleep latex memory foam mattresses packed conveniently in a box and delivered Australia wide. 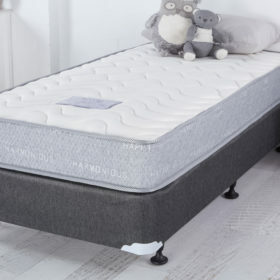 Order on or before the 22/12/18 and get this mattress delivered by 23/12/18. Melbourne metro deliveries only. Houses or apartments with lifts only. The HappySleep mattress is delivered free Australia wide within 3-5 working days. For metro Melbourne get this delivered the next business day. Comes packed in a box for convenient transportation and movement through your house. Breathable cover made from the latest in fabric technology features wood pulp fibres for a soft durable sleeping experience. Pressure relieving technology from the memory foam layers provides excellent pressure relief and reduced partner disturbance. 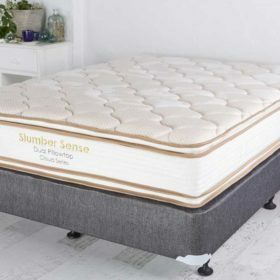 Made to Standard Australian Sizes, this mattress is suitable for placement or slat or solid bed bases. See below for delivery times. Mattress only. Slimline base now available for purchase in the bases section.